One of my missions with my work and this blog, is to show people how easy it can be to eat healthy, tasty, satisfying and nourishing meals! I think sometimes we hold on to these limiting beliefs that eating healthy is “difficult”, “boring”, “complicated” and “time consuming”, when it can be anything but! I even remember someone saying to me some years ago, when I was asked to do a cooking demo with healthy food; “Make sure that it tastes good and not like cardboard”. Seriously?!! Besides some epic recipe-experiment-kitchen fails, (Yeah those do happen…) I don’t personally like eating anything that remotely resembles cardboard, so I am going to assume that you don’t either. And why should we? If you’ve been following my blog for sometime, you may realise that the majority of the recipes featured here are not complicated and usually made with just a few ingredients. Though I like cooking more complicated stuff and following recipes from cookbooks, on occasion, it is not how I tend to eat in my everyday life. I particularly like the process of baking as a way to de-stress, but during the week when life is busy, and cooking and sometimes even eating seems like an inconvenience, creating meals in 10-20 min is a blessing. These quick meals are what I call “assembly meals” and I’m going share with you some of my tips for how you can create your own. And after just having finished the interesting book The Virtues of the Table – How to Eat & Think, by Julian Baggini, where he talks about SIVs – “Simple but Infinitely Variable” recipes I decided to create a little eBook to extend my formula to YOU, that I use to create my own salad bowls, aka “Rainbow Bowls”. You can get your copy at the end of the blog post. Because salads bowls are definitely in the SIV category! So what’s the key to a great meal, or salad bowl, then? And how do we make it quick and simple, yet tasty and fulfilling? 1. 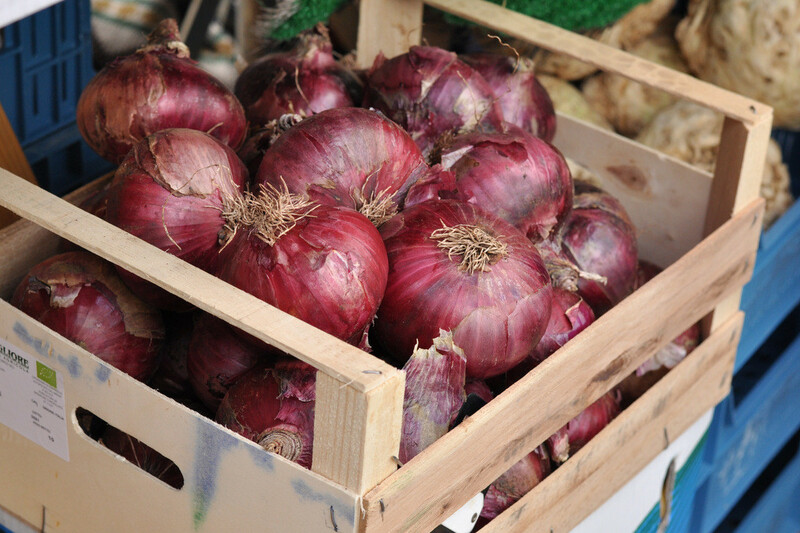 Buy the best quality ingredients you can find and afford. 2. Buy fresh food that is actually fresh! How do you know that your food is fresh? Whilst we wait for the sci-fi scanners to tell us the exact nutritional value of each piece of fruit that and veg we have to use what’s already available to us, our eyes! And maybe other senses like touch and smell. 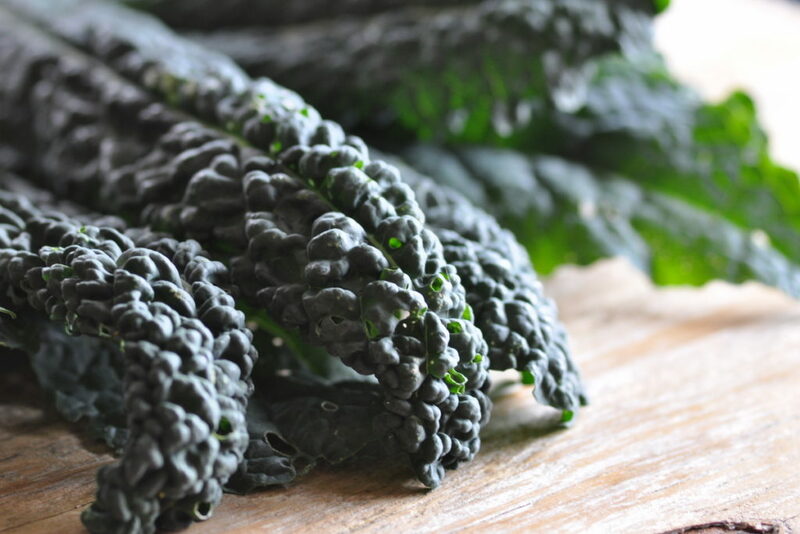 Look at colour but most of all your vegetables should not be limp. If they are, they’ve been around awhile and started losing some of their water content and probably valuable nutrient content too. 3. Layer up your bowl with colour, texture and flavour + make sure that you cover all the macro nutrients. When I say make sure you cover all your macros, I mean that you need to make sure that you include some type of food from each of the three macro nutrient groups of fat, carbohydrates and protein. This way you know that you will be eating a balanced meal. And we are talking salads here as a main meal and not as a side, of course! Oh and don’t forget to infuse your meal with loving intentions too. That will really elevate the experience to the next level! To make this bowl construction easier, I’ve put together a handy guide for you to download, at the bottom of this post. But now let’s get on with today’s recipe! 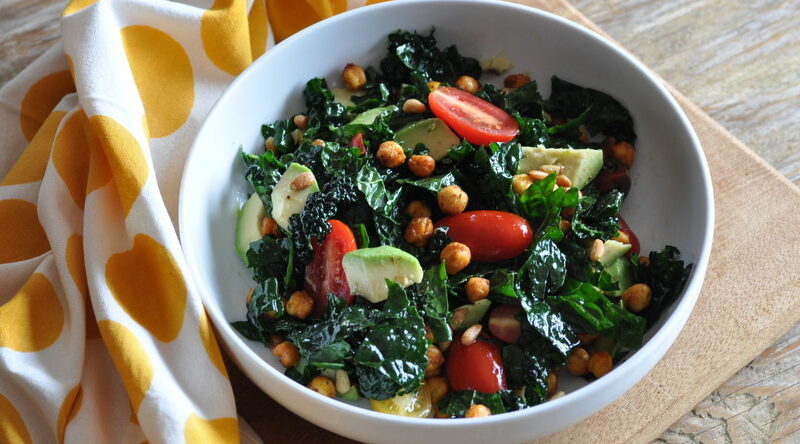 Not a salad bowl, but definitely a 10 min satisfying lunch option! There has been times when I’ve bought bread for the pure sole reason that I’ve happened to have a perfectly ripe avocado to hand… Don’t judge…! That’s how much I really enjoy avocado on toast. I don’t tend to eat bread all that often, but when I do I adopt my no. 1 philosophy as mentioned above. You know, “best quality you can find and afford”. 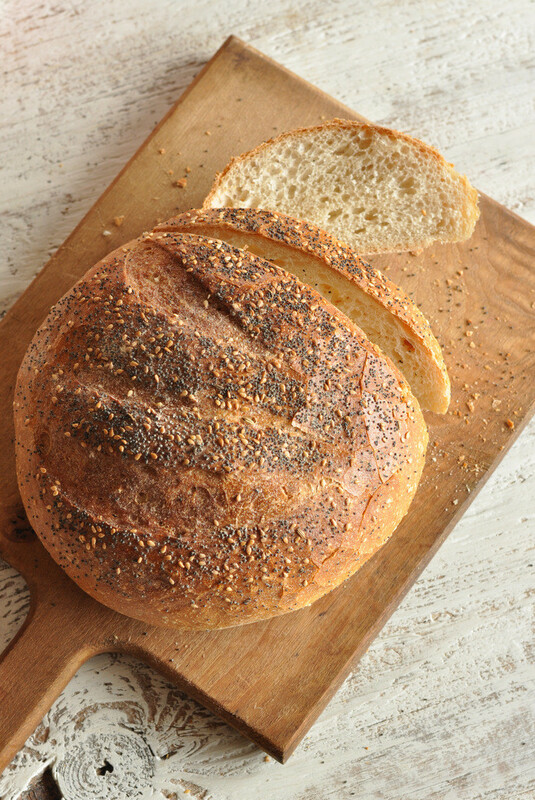 Because if you are going to have bread, you may as well let your tastebuds have a dance party too! 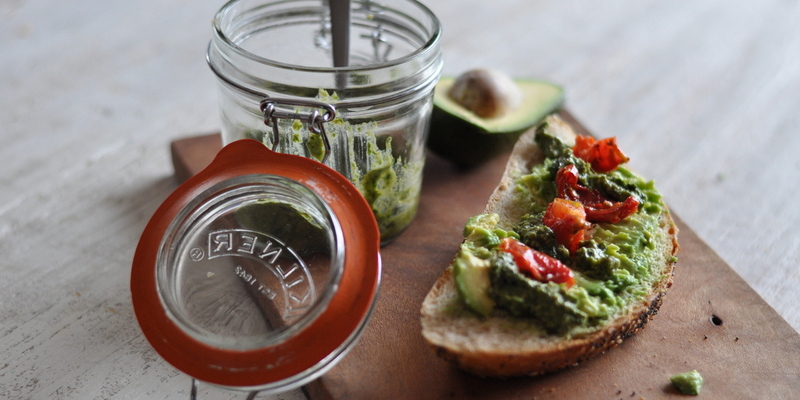 But if bread is not your thing you can enjoy this pesto as a the flavour part of your Rainbow Bowl. Smoother some pasta with it (gluten free or otherwise), add it to some finely sliced courgette ribbons or just as plain side with what ever you add to your bowl! I tend to make my pesto in my Nutribullet but you can use a food processor too. 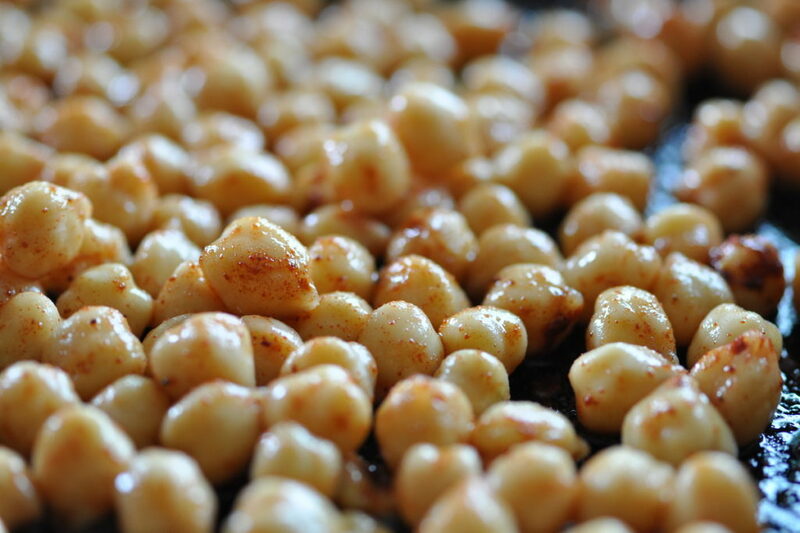 Add coriander leaves, cashew nuts, the smashed garlic (basically just smash it with the wide side of you knife blade, this promotes the healing properties of it), and cheese, (if using) to your food processor. Add the lemon juice and a pinch of seasoning. Whilst blending add the oil through the open part of your processor lid. You can adjust amount of oil here this way. You are looking for a nice smooth consistency but not sloppy, so don’t go to heavy handed! 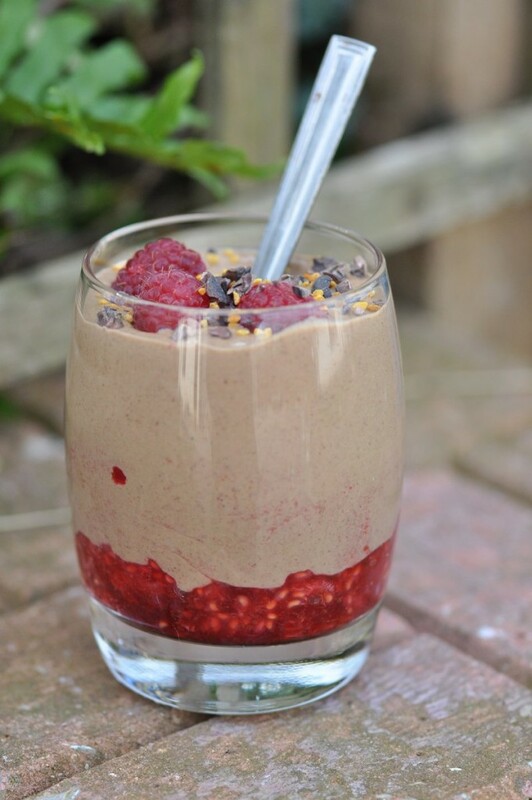 * If you are using your Nutribullet then add all ingredients together into the small container. Pulse the container several times until you have a nicely blended pesto with no lumps. You may have to open the container a few times and scrape down the sides. I also give it a good few shakes between the mini blends to ensure that it mixes and that I don’t burn out the motor of my precious machine! To serve, simply cut a slice of bread (toast it if you wish), cut the avocado in half and then scoop it out and place on your toast. 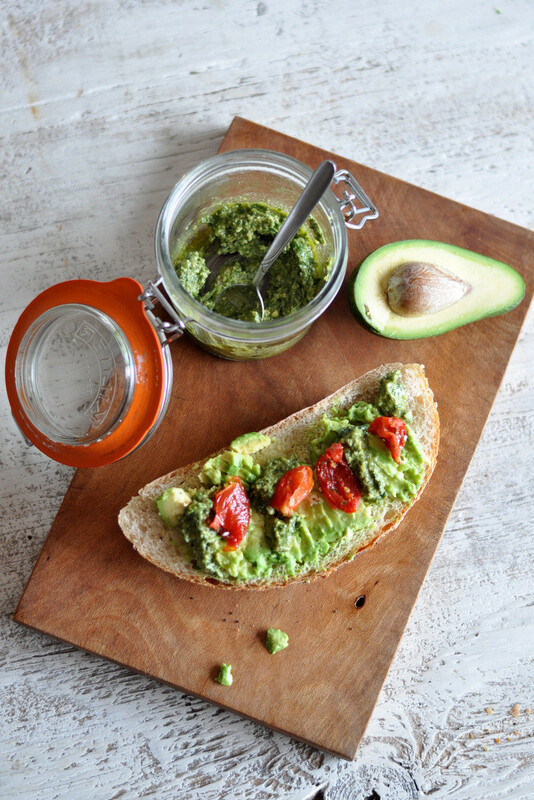 Mash the avocado with the back of a fork, add some pesto and maybe some sundried tomatoes, a bit of extra black pepper – EAT! And if you want to get more ideas on how to get creative and create 10 minute meals, simply put your name in the box below! It looks like Spring has finally arrived. Yay! And I have a confession to make… I’ve just ordered my very first gardening book. Oh my, I wonder where this is all heading? Those green fingers seem to have skipped a generation and I doubt I’ll ever be an avid and as an accomplished gardener like my grand-mother, who at 94 is still out in the garden keeping it weed-free and flourishing. 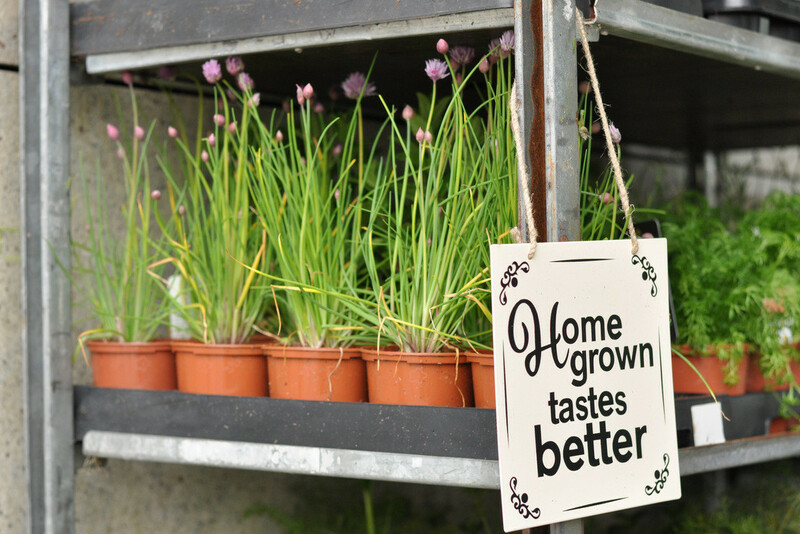 Perhaps it’s the fact that the sun has finally come out to play and the rise in temperature that has brought on the temptation of having a crack at growing (well at least trying) something edible? I’m not sure really. The more you delve into eating REAL food, packaged as nature intended, the more it make sense to take care where that food comes from. So having a go at trying to grow at least a few of the vegetables you eat makes sense. Well worth a go anyway. Since I’ve always maintained that I would starve to death if I had to rely on my own home grown stuff, I’m grateful if I manage to grow enough for a meal or two. Time will tell. Since the temperatures has finally risen into double figures, smoothies are back in! I eat them all the time, but even more so in the Spring and Summer months. Especially as a quick meal when I’m pressed for time. Or as a quick breakfast. Or sometimes as a recovery snack after a heavy work out or training session. Then I usually add some extra protein to it. I have found it to be the breakfast which will keep me full the longest. If heading out for a couple of hours on the bike or a hike in the mountain, this is what I start off my day with. Everyone is different though, so test out a few different options to find out what works for you. Is it the old reliable bowl of porridge? A power smoothie? Or perhaps an egg based breakfast? My smoothies almost always contain two base ingredients. Banana and avocado. 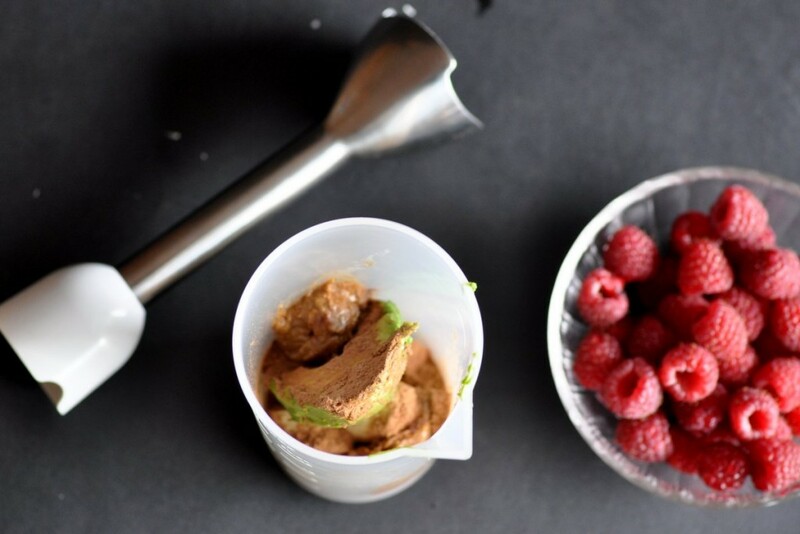 The banana serves as a great natural sweetener and the avocado gives it a creamy texture. Avocados also offers amazing health benefits being a great source of monounsaturated fat, potassium, B-vitamin and fibre. In the previous fat phobic era, avocados would have been considering a no-no. 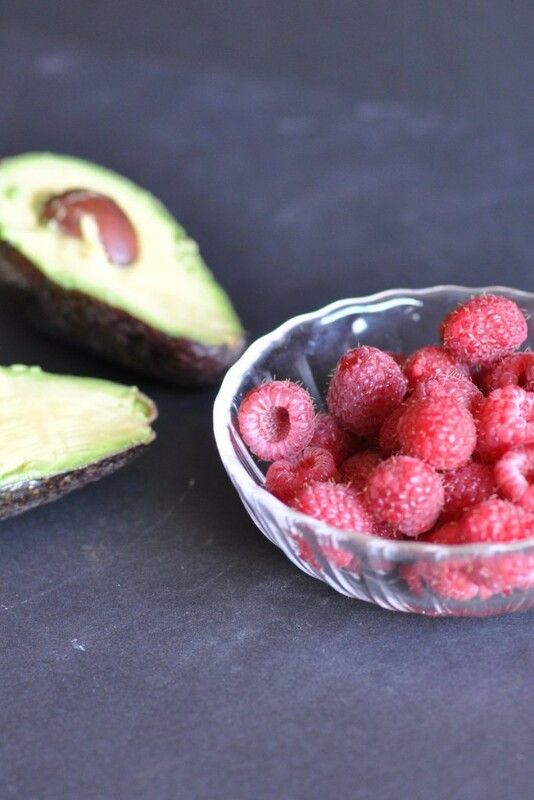 However we now know that the type of fat in avocados are easily used as energy, can actually lower cholesterol and are also important for both good skin health and proper brain function. Healthy fats also keeps us full for longer. I first started adding avocados to my smoothies a few years ago after reading a book about raw food for children. Before that it had never really occurred to me. This was obviously before the constant influence and inspiration of Instagram! Since then they are my constant smoothie companion. It makes so much sense to use them as apart from the lovely texture you get, they will also balance the naturally occurring sugar from the fruit, and make it a more slow release form of energy. Hence it will keep you full for longer. 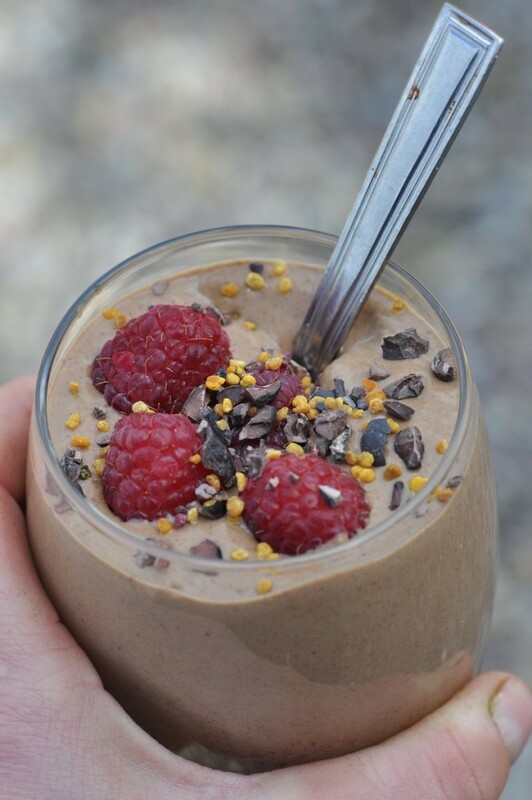 Having smoothies are an excellent way of increasing your intake of raw food. Something a lot of people could do with. Including at least some raw food in your daily food intake will maximise your intake of live enzymes and nutrients in an unadulterated way. Raw food is literally alive and hence makes us feel more vibrant! An added bonus to making smoothies are you don’t need any fancy gadgets to make them either. A simple hand blender (immersion blender) will do the job perfectly. Simple to clean too. 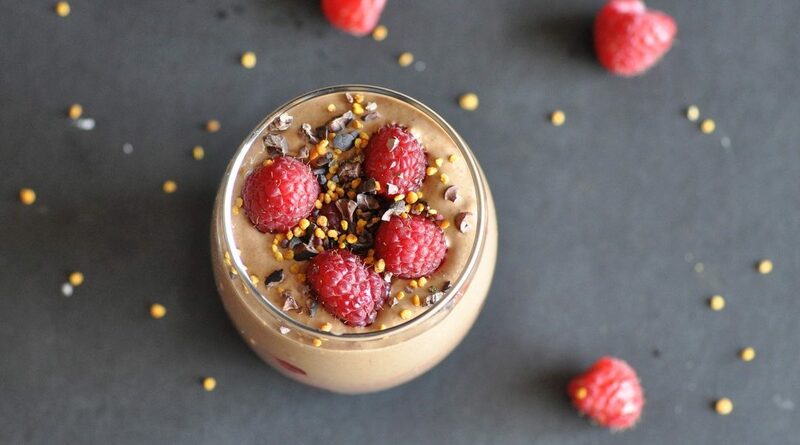 This smoothie is super decadent and would also work as a healthy dessert. Or a fancy pants lunch, eaten outside while enjoying the beautiful Spring weather. Bound to lift the spirits every time! 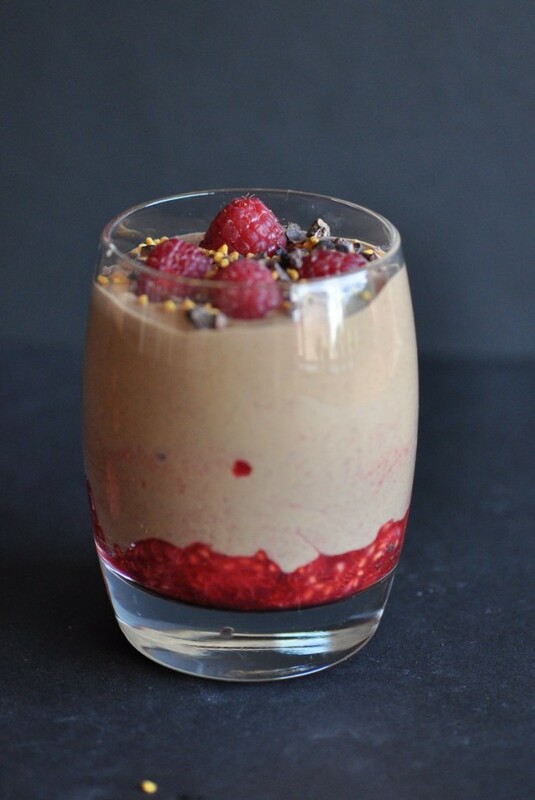 Naturally dairy, gluten and refined sugar free. Tell me a little bit about yourself and what you do? My name is Chelsea Hunter and I am a Holistic Health Coach, creator of The Naked Fig and recipe developer in Atlanta, Ga, USA. Going from a highly processed and toxic diet to eating nourishing whole foods changed my body, mind, and soul for the better. 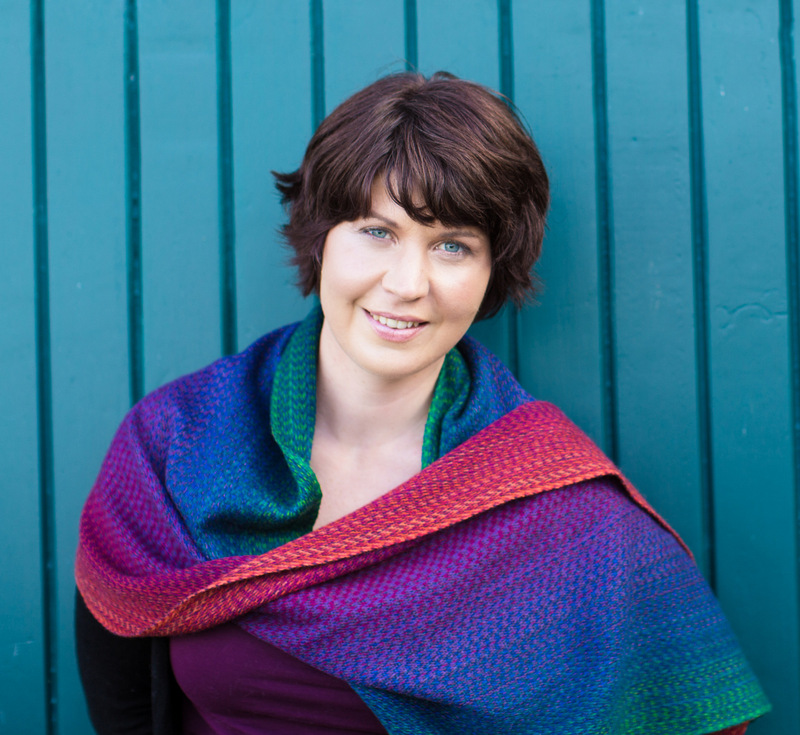 I became a health coach to share the fullness of life I found through healthy eating. Many people believe that health is all about discipline and cutting back. I hope to inspire them to see that healthy eating is about adding in and abundance rather than deprivation. When I’m not working on The Naked Fig, I love to hike, read, practice yoga, and cook for family and friends. I am currently studying to become a yoga teacher and can’t wait to add yoga to my health coaching practice! People ask me all the time if I am a vegan, vegetarian, gluten-free, paleo, etc. My answer is… that I’m a human! I try not to be dogmatic about food. Eating should be natural and intuitive. I listen to my body and give it what it needs. Different foods affect different people in different ways. What works for one person may not work for you. I simply try to eat the most nourishing foods I can and avoid consuming anything too processed. That said, sometimes a croissant nourishes my soul so much that I don’t worry about how healthy it is. Life is too short to feel guilty about eating! This is a tough one because I have so many favorites. I love adding saffron to recipes. It is so expensive that I have to use it sparingly, but that makes it feel like a treat when I do use it. Plus it adds such a nuanced flavor to seemingly simple dishes. It is an easy way to turn any dish from average to impressive. But I’m also a sucker for anything with avocado, garlic, goat’s cheese, and of course figs! Who inspires you to live a healthy lifestyle? One of the biggest inspirations for me has been using Instagram. 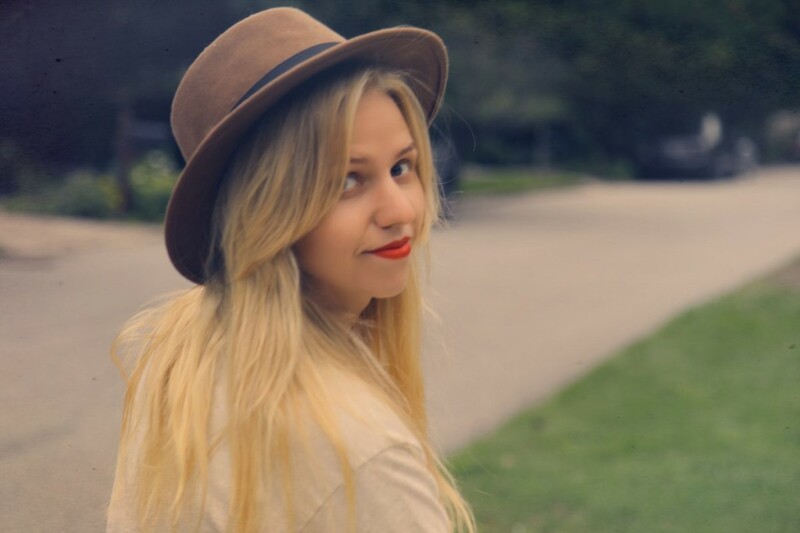 Following healthy and happy people, such as Linn, keeps healthy living on my mind all day. 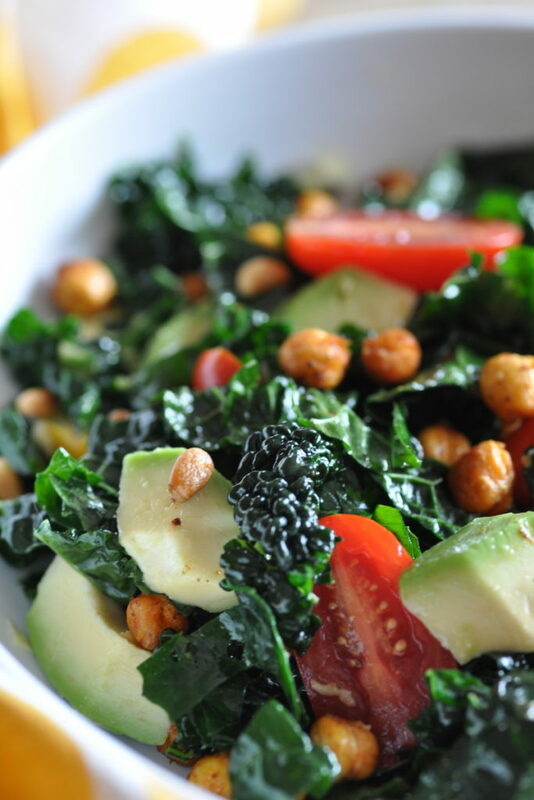 I see so many delicious healthy recipes that I don’t even think about junk food. Out of sight out of mind works in reverse. Keep healthy food in sight. Surround yourself with positive messages about health! In addition to Straightforward Nutrition, I follow other blogs such as My New Roots, Earthsprout, Green Kitchen Stories and Golubka. These sites have a wealth of nutrition information and some of the most delicious recipes! Preheat oven to 425 degrees Fahrenheit (218 degrees Celsius). If your coconut oil is solid, gently melt it in a skillet. Place sliced turnips in a large bowl. Pour most of the oil over the turnips saving a little for cooking the garlic. Use your hands to coat the turnips with oil. 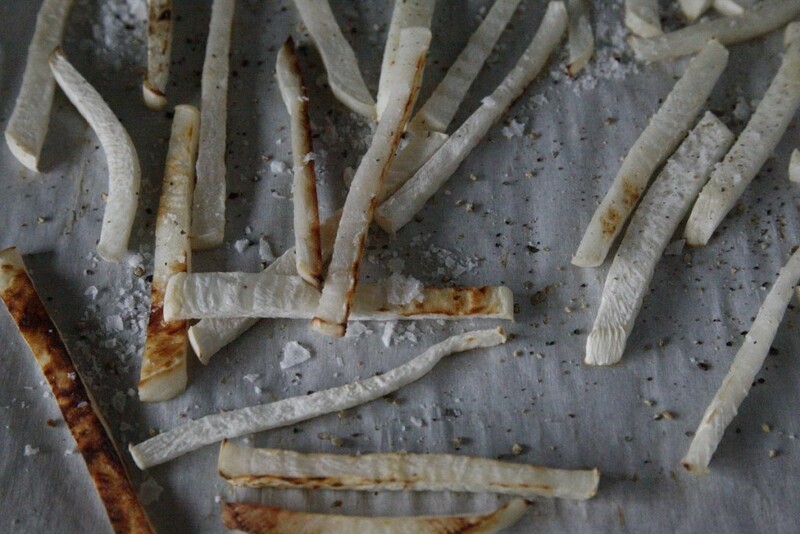 Spread the fries out on a baking sheet lined with parchment paper and bake for 20 minutes flipping the turnips half way. While the fries bake, cook the garlic in the remaining oil over medium heat until soft (about 4 minutes). 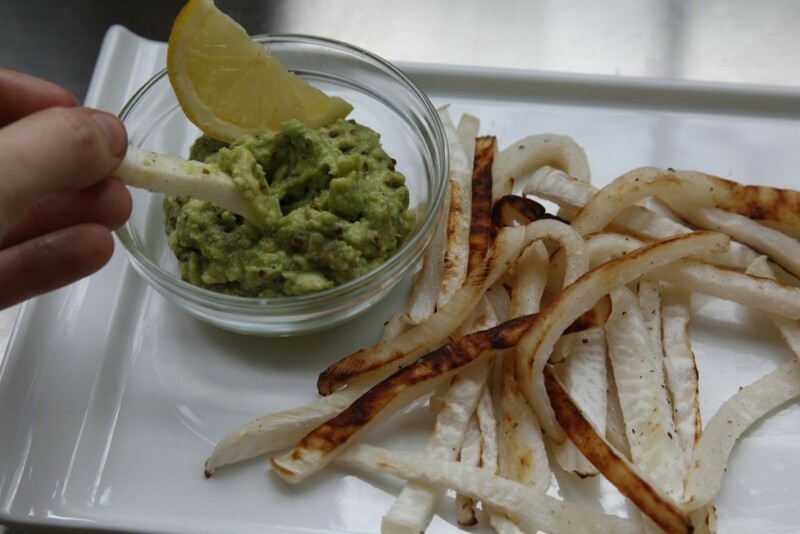 Put avocado, cooked garlic, mustard, salt, and lemon juice in a bowl and mash using the back of a fork or a mortar and pestle. 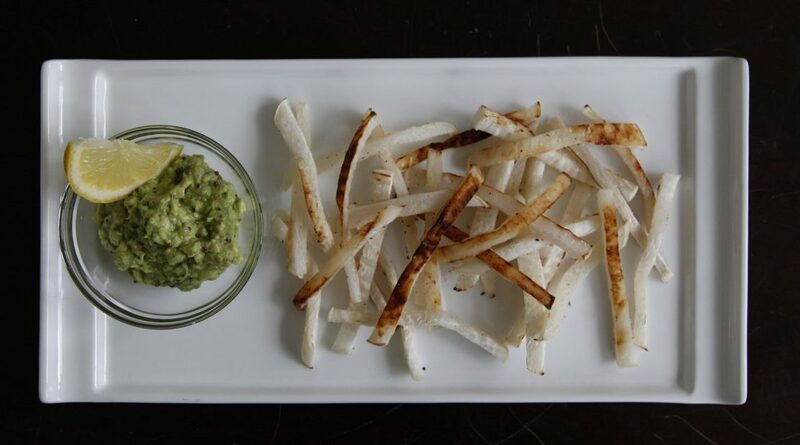 Generously salt and pepper the turnips fries to taste and serve with avocado dipping sauce. Enjoy! If you want to read a bit more about my food philosophy and the recipe I shared, hop over to The Naked Fig and read more about it here!